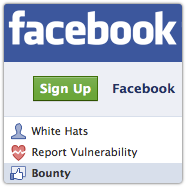 Report a bug that could compromise the integrity or privacy of Facebook user data, such as: Cross-Site Scripting (XSS), Cross-Site Request Forgery (CSRF/XSRF), Remote Code Injection. Facebook security team will assess each bug to determine if qualifies. On the 4th of august at the world’s largest technical security conference – BlackHat USA 2011, which will take place in Las Vegas, SAP security expert and CTO of ERPScan Alexander Polyakov will show how any malicious attacker can get access to the systems running on SAP via Internet using new critical vulnerability. Several hacker groups have mounted a fresh batch of cyber attacks against the Peruvian, Colombian and Philippines governments, all in the name of Anonymous’ ongoing AntiSec campaign. The attack on the Colombian Government saw the hackers target roughly 250 of the country’s police officials with “spam bombs”. Following the regular pattern of most hacker groups, the attackers went on to post a statement online containing the personal data of National Police employees. The statement thanked the police, “for keeping us submitted and trampled” and invited all like-minded individuals to join the AntiSec movement. The attack on the Philippians Government was enacted by the “BashCrew” hacker collective. The hack targeted the country’s Congress.gov.ph website. The group subsequently published the stolen data on pastebin. The data posted included government workers personal information, emails and contact numbers. The hacks in Peru targeted 10 government owned sites and were perpetrated by an as yet unidentified group of hackers. The attack was still credited as being a part of the ongoing AntiSec campaign. The information taken from the 10 sites was then posted online, it again included filenames and employee details. The attacks come just as Anonymous has mounted several fresh attacks against the Italian Cyber Police and NATO. None of the targeted governments have yet released official statements regarding the attacks. Following the arrest of 16 individuals in the U.S. and five in the U.K. and the Netherlands who are allegedly connected to the various cyber attacks organized by Anonymous, the hacktivist group continues its mission unabated. According to the claims the group made on their Twitter account, they have managed to hack the servers of the North Atlantic Treaty Organization (NATO) and exfiltrate around one GB of its restricted and confidential documents. To prove the veracity of their assertions, they have also published two of those documents – one classified as “NATO Restricted” – but said that they would not publish the rest of them as it would be irresponsible of them. NATO has said that its security experts are investigating the group’s claims. In the meantime, the LulzSec hackers have stated that they are currently working with certain media outlets who have been granted exclusive access to some of the News of the World emails the group got their hands on, even though Anonymous has previously stated that they would not release The Sun emails because they might compromise the ongoing court case against the news corporation. Sabu, one of the members of LulzSec, has also shared that the News International emails just part of the data the group has in its posession. Both groups have not commented on whether the individuals arrested at the beginning of the week had anything to do with them, except for saying that they show respect for the “fallen anons”. William Lynn, the deputy secretary of defense, said in a speech outlining the strategy that 24,000 files containing Pentagon data were stolen from a defense industry computer network in a single intrusion in March. He offered no details about what was taken but said the Pentagon believes the attacker was a foreign government. He didn’t say which nation. “We have a pretty good idea” who did it, Lynn said in an interview before the speech. He would not elaborate. Many cyberattacks in the past have been blamed on China or Russia. One of the Pentagon’s fears is that eventually a terrorist group, with less at stake than a foreign government, will acquire the ability to not only penetrate U.S. computer networks to steal data but to attack them in ways that damage U.S. defenses or even cause deaths. 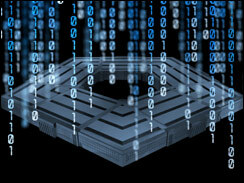 The Pentagon has long worried about the vulnerability of its computer systems. The concern has grown as the military becomes more dependent not only on its own computers but also on those of its defense contractors, including providers of the fuel, electricity and other resources that keep the military operating globally. Lynn said intrusions in the last few years have compromised some of the Pentagon’s most sensitive systems, including surveillance technologies and satellite communications systems. Penetrations of defense industry networks have targeted a wide swath of military hardware, including missile tracking systems and drone aircraft, he said.